If the Caprice re-style was long overdue, what about the Crown Victoria?
. . . back to fwd discussion . . . I fully realize that many in here (and in the outside world) that would never consider ANY fwd car for anything other than "appliance" transportation AND that many of these people either re-trenched into the rwd cars they liked better or moved into light duty 1/2 ton pickup-chassis vehicles. Yet, that does not mean a fwd vehicle might not be a credible vehicle and worthy of some sort of collector status (other than the "garbage collector"). Combine that with general orientations that fwd cars were sometimes associated with econobox imports that were used and discarded, or recycled to other owners who desired something "cheap and economical". Combine that with the "They haven't made a decent car since 19__" orientation and it's easy to understand how many vintage vehicle hobbyiests didn't consider the fwd cars worthy of their attention when they were new, much less in more current times as "future collectible", or even used cars. It's also understandable that the "retrench" group would seek to find vehicles which they like and keep them on the road for many years into the future. I've been a part of that group, to a certain extent, for many years. That's one reason my '77 Camaro has over 700K miles on it, as others in my "fleet of semi-worthless vintage vehicles--pre-Y2K Impala" are generally under 200K miles. But, like others, I HAVE to admit to current realities, especially fuel costs. Plus ease of getting it serviced by others and having confidence they know what they're looking at. In my "Quest to get to 30mpg on the highway", there were many cars considered, usually fwd cars. And, I also had a target of $5K investment, which means "used car". I thought of some neat projects, but then I thought I might find something "as is" that might work just as good without the trouble. And that's where I ended up, with the Y2K Impala and 95K miles on it. Might it be a "future collectible" or "cheap wheels"? Certainly "cheap wheels", all things considered. It fits me better than some other brands of fwd cars, though. As neat as the later '80s fwd DeVilles were, I'm just not a Cadillac owner, but I can appreciate them for what they (and other brands) are. A K-car-based Chrysler Imperial turned up the other day--that was a neat car when new, too, and still could be. Certainly can't find that much luxury packed into that size car anymore!!! There's also a good deal of support in the Online Imperial Club, too. I realize that my orientations might not be shared with others in here, but in planning for the future of what each of us will be or might be driving in a few years, at some time the priorities and realities of modern life will kick in, which will require a vehicle upgrade to something newer, which will usually be fwd (in the affordable pricepoints). So, rather than automatically dismissing vehicles (according to respective orientatioins, model year or whatever), it might be best to keep up to date as to what's new now, as you might end up driving something like that in 5 years. One orientation I developed many years ago, when I first bought the Camaro, was to "Drive something daily which is expendable, OR you can still find parts for it in the salvage yards or from the aftermarket/repro vendors". Still keep the cars you like best, but don't expose them to the perils of daily use. Just some thoughts . . . I'd have to say the late 80's, early 90's T-Birds might be. "Big" car, and they still have some power behind the wheels. They were rear wheel drive. I've been thinking lately about looking for a 1988 Ford Festiva like the one I bought new in 88. That was a fun little car. I remeber how surprised I was the first time I filled the tank after dring the car for a week or more. 42 mpg in Los Angeles commuting! I had to fill it a few times before I really believed the mileage. We drove it from LA to Naples FL and got over 50mpg. Not a hot rod, but fast enough to keep up. I traded it after getting back to MN where it wasn't such a good car for the winter snow and ice. Still see a couple driving around here in MN though. The Crown Victoria will not be restyled anytime in the near future. Ford simply discontinued the model and the entire platform late last year. I actually wonder if all the trouble I read about Reattas here make this car a truly viable collector vehicle. It has a good following along with the great support fellow owners provide each other. When the remaining parts supplies runs out and remaining spares become unserviceable what then? I imagine the same is true for other similar vehicles with electronics of a similar or even more complex nature. Most cars of that era are simply falling to the same fate as personal computers while there are people who can fix them but the cost to get something "better" is less than what it may run to repair the obsolete vehicle "if" the parts are even available. A friend scrapped an early S-10 pick-up because of a carburetor that was not adjustable or rebuildable and a replacement could not be located for even twice what the truck was worth. One of the possible saving graces on the Reatta is that it's (basically) a smaller Buick Riviera. Certainly, there are some trim items which are unique to the car, but the mechanicals and electronics were usually shared with the Riviera. Possibly the ABS brake components might be different? Even when the cars were newer, there were issues with various parts of the ABS system being discontinued from GM. That's why many were traded-in back then, as the cost to repair (when parts were available) was a significant cost for many owners, who just chose to not deal with it. The 'tv' screens had factory repair shops which fixed them under warranty, so these entities just kept on repairing them after they were out of GM warranty. Most of the ABS items were in the aftermarket, which were already remans, but dealers generally didn't want to use reman parts for various reasons, but they were out there. When the 2nd gen Reatta (with the normal instrument panel) were new, I had to get a weatherstrip where the convertible top sealed against the sheet metal, under GM warranty. It was ONE BIG rubber weatherstrip item! Even back then, those items were such low production that I had to call a particular engineer at GM to order one, as the GM part number wasn't in the parts book. I rather doubt that part will ever be in repro, but possibly could be replicated with roll stock of the correct shape and finessed together with appropriate adhesive. As mentioned, obviously, there will be an ultimate end to replacement body parts, at some time or another. But we have those issues on higher production vehicles, too. By observation, the Reatta Forum is one active place. Lots of long-standing tech support in that group, too. AND they like to drive their cars daily, it appears. When I was mentioning the Caprice vs. Crown Vic redesigns, I was referring to the later 1980s Crown Vics, which stayed on for several more years in that "square" shape as the Caprice became rounded like a "Porky's" Hudson. In retrospect, GM could have done better by not going so far "round" as they did AND not seeming to copy the 1962 Rambler American's rear wheel placement forward of the center of the rear wheel openning in the quarter panel. Essenitially the same would apply to the Crown Vic, Marquis, and Town Car. However the three did get a mild aero restyle of the front and rear in 1985 which the rwd Caprice and Cadillac did not. Their facelift mainly only got composite headlights and a little trim variation, and it wasn't even until 1990 for the Cadillac when Town Car had an all new body that year. And Marquis was available from 1986 on when there was no such offering from Buick or Olds until the Roadmaster. Back to FWD, as I said earlier, it is not so much the actual FWD or RWD that matters but the type of vehicle usually associated with it. Pre WWII the most desirable cars are luxury cars. Duesenberg, Packard, Pierce Arrow, V-12's, V-16's, etc. But this is not the case after WWII, especially by the mid 1960's - 1970's and beyond. On the Lincoln forum the most collected cars are the 1961-79's. However, outside the forum, these cars (especially 70-79) receive very little collector attention. The same applies for RWD Broughams in the Cadillac club. What receives all the attention are muscle cars and Corvettes. And those cars are RWD. It is not whether they are RWD or FWD, but the fact that they are muscle cars and Corvettes. Since these cars continue to be built with RWD, the FWD cars simply will not be as popular even if they are more unique or offer a performance version. For example the new Challenger is being discontinued. I think it will become a big collectible item. Not because of RWD instead of FWD, but because of it being a retro themed muscle car. What we may or may not choose or be forced to drive as daily drivers does not not necassarily have anything to do with them becoming collectible. I drove 1970's Lincolns for almost 2 decades as daily drivers. It was no problem when gas was $2.50 a gallon. However, I do not think I would want to be driving one as a daily now with gas approching $4.50 a gallon. That does not mean I want a collectible that gets 30 mpg. Also my FWD Buick has had way more work done to it than it is worth because it is fine as a daily. I don't want new car payments. And it has been owned since new, so buying something else used would probably be more problems than my Buick plus with an unknown history. That does not mean that I would want to go out an get one in a few years when it becomes an antique and do a full restoration on it. In fact I am unsure if I want to even have my current one's rust repaired again. AACA Member but all of my cars are licensed & have garage doors. It is strange how many long threads are really people arguing the same side of a discussion, sometimes violently. Every thutty yar or so I buy a new car. This time it had ABS, big 4 wheel disk brakes, 18" tires, 4 wheel independant suspension, and a DOHC/FI/VVT (i&e) 3.6 liter 6 cyl like the Jags of my yout, digital display with readout of coolant, oil, and transmission tems & dual a/c. Sirus, CD and plain radio. Was available with AWD but did not need. Has pushbutton starting and bluetooth and personal recognition. Personally have had FWD, RWD, and AWD. with front, rear, and mid engines. Gas and diesel. Just went through a thinning process so down to drivers (all different prpose) and one project. Being a Floridian I like a rear engined car (easier to a/c) but not essential. All-in-one powertrain packages make a lot of sense to me as an engineer. Is a lot of emotion involved in my car selection (no reason to just use logic) though tend to cluster around a powertrain for commonality of spares. Only real requirement is that all (including the 4spd-400 cid toy) have a/c. Current herd ranges from a 42 year old and all but one are old enough to vote. So "I never met a car I didn't like." (though a stripper 60 Ford came close). People joke about the Yugo but without eager buyers would we have had a Bricklin ? Just sold my last Fiero so no longer have a car like the Trabant. Result: I really do not care where the engine is as long as the vehicle, as a whole, is "interesting". Also enjoy these forums, particularly when cultures clash. Is odd but I have had cars go from new to old to collectible before and remember GTOs being too new for POCI so the GTOAA was formed (and talking about 64-74, not ones this century). It is a fun ride in more ways than one. BTW I even kinda liked the Cimmaron perhaps because I never had one, never has an '80s Caddy diesel either for which I am thankful. ps my new car is a Heapdirow. I just have to say that I find it insteresting that almost everyone has spelled "Cimarron" incorrectly (not Cimmaron). Probably not a good reflection on the car or the name chosen for it. I guarentee nothing from memory, particularly speeling. YMMV. Those were an absolute embarrassment to the marque but not as bad as the Cimarron. Those were hard on the eyes. Just what did you expect Cadillac to do? Cadillac was forced into the mix with Cimmaron because of CAFE requirements, and not dealers insisting on a small car because (contrary to what some believe) Cadillac knew Cadillac buyers would reject such a car. So Cadillac used the J platform and it's technology because they could share production cost to cover the loss. We all know GM has made some bad decisions, but this is one car that came about because of government decisions. Cadillac also did it's best to downplay the car by instruction from GM, and instructed sales to do the same by saying the car was not technically a Cadillac. From an engineering standpoint I always thought the 55 mph national speed limit was the beginning of the end. Before that imports from both sides of the ocean were "buzz bombs". Few (Mercs and Rolls were exceptions) were quiet or comfortable at 70. I remember a 124 sedan that was uninhabitable over 60. When discussing cars of the late '70s and '80s it is important to realize that not only was CAFE and emissions standards tightening, it was illegal to exceed 55 mph on any US public road. States not enforcing were threatened with loss of federal funding. Given that loading, it is amazing that so many cars of that period still do well in a time of 70 and 75 mph speed limits. However, what happened was that as the big three were scrambling to meet safety and emissions and MPG while still filling the American desire for GALBs created by miles and miles of straight wide roads (driving from Key West to Pensacola is about the same distance as driving from London to Stuttgart and you never leave Florida. A joke was that in Texas at 55 mph you never got anywhere.) the imports were making up time. At 55 they were quiet enough and the 1,000 - 1,600 cc sewing machine motors available got wondeful MPG as US manufacturers (other than Ford) had 2.5 liter 4 cyls like the Iron Duke struggling to get 80 hp with a TBI (injection masqerading as a carb. In other words a poorly controlled leak. In counterpoint I had my first port fuel injection car in 1970. From GM. So US automakers had 80 hp shakers trying to propel a 2500 car and get good MPG. Right. They were optomised for the EPA cycles but few drive that way so the EPA estimates were revised. Several times. By the late '80s some rays of hope were starting to appear. I'm biased but think the 3800 with rollers and balance shafts coupled to a four speed lockup transmission (440T4/4T60) will be eventually recognised as one of the great powetrains. Met its end as an iron engine in a world of alloys but a very effective powertrain in everthing from roadsters to minivans. But in the mid, many had bet the farm on diesels and failed. Took a while to recover. Today it is interesting that my 3600 lb '88 Reatta coupe gets 24-26 mpg on 87 PON at 70 mph while the 4400 lb Heap gets the same. Can see better from way up there but still prefer the Reatta for a fast Orlando > Phoenix run as long as I do not need to carry an engine. Gonna have to get the G-Force Pro out and see if it can match the Reatta's 8.6 second 0-60, one UK tester indicated it should be in the 7's. Meanwhile back at the early 80's Diesels and turbos have poor vaccuum so electrohydraulic brakes were needed and ABS was a Big Thing so there were a lot of options developed. For BOP from 86-90 GM just used their PowerMaster for normal brakes and the Continental-Teves for ABS. Both proven designs but both used in nitches and very different in execution (Powermaster runs at about 770 psi while the Teves at 2200. From the outside they look very similar). Bottom line, my 88 Reatta speedo has an interesting legend that you can see in the right light (below) that is a "blast from the past". Is nothing sadder than "it might have been" ? That is NOT the reason imports started to build factories here. Just what did you expect Cadillac to do? Cadillac was forced into the mix with Cimmaron because of CAFE requirements, and not dealers insisting on a small car because (contrary to what some believe) Cadillac knew Cadillac buyers would reject such a car. C.A.F.E. requirements are calculated for each manufacturer, not each brand. 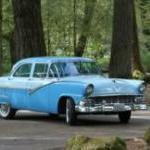 All GM cars were lumped together for C.A.F.E., Cadillac was not rated separately. If Lincoln or Imperial were individually rated at that time they'd have never made it either. Also C.A.F.E ratings are sales weighted. If it doesn't sell, it doesn't count. Look, whatever survives after enough time is collectible. Some of the cars that get the most attention at shows I've been to recently are the old, no-option cars. Y'know, dog-dish hubcaps, no A/C, manual windows, smallest engine, manual transmission in a car that sold 90+% automatic, radio delete.. the cars only ordered by dealers to advertise a crazy-low sticker price in the weekend edition of the local paper. Most, myself included tend to gravitate towards and collect the "ne plus ultra" cars, but seeing strippers are something of a breath of fresh air. The Cimarron, contrary to the prevailing rap on it was not just a Cavalier with some Cadillac badging and leather seats. I owned an '88 Cimarron and it was a very nice little car. There were significant upgrades in the suspension, massive amounts of additional sound-deadening and higher quality trim utilized throughout. I also owned an '89 Sunbird so I have first hand experience of the differences. Cadillac managed to sell 20 some-odd thousand of these cars year after year in spite of little to no marketing and all the bad press. Had the predicted $3 a gallon gas prices arrived in the mid-eighties ($6/gal in today's prices) rather than it plummeting below a dollar a gallon you can bet that the Cimarron and the disastrous "double-downsized" C/E/K bodies would have sold like hotcakes. Cars of an era for the most part "all look alike" with the exception of a few stand-outs. To the uninitiated/uninterested the styling cues that allow you to know what make/model/year a car from your pet era is from 100 yards away are simply invisible. Hmmm. . . I could've sworn my sisters 90 was Front wheel drive. . . I dunno. Ignore that post then.